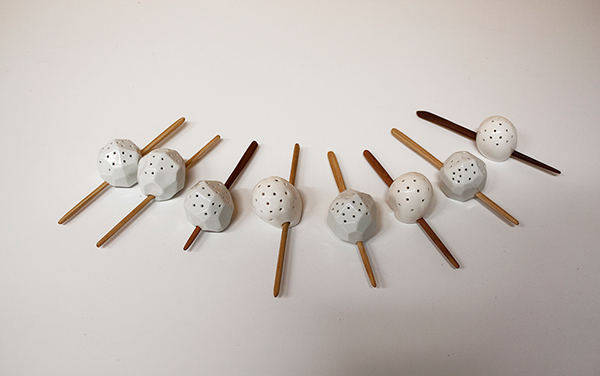 The tea infusers which were created by playing and experimentation with materials-porcelain and glass. 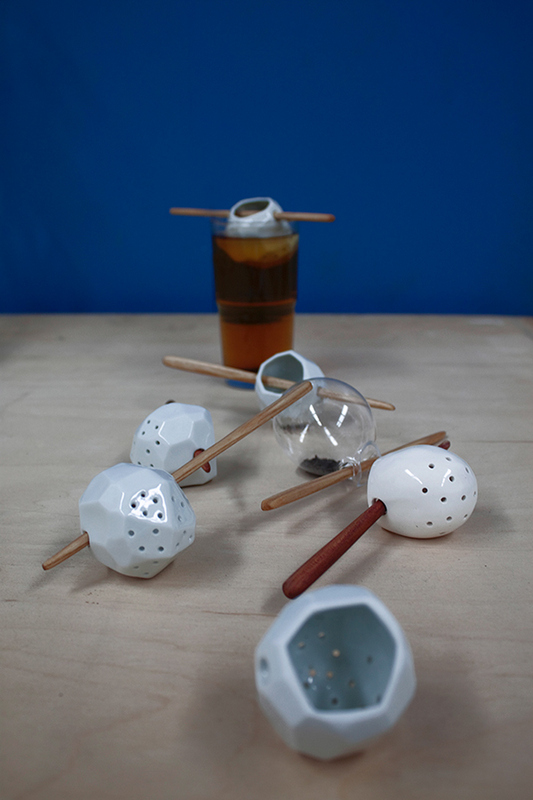 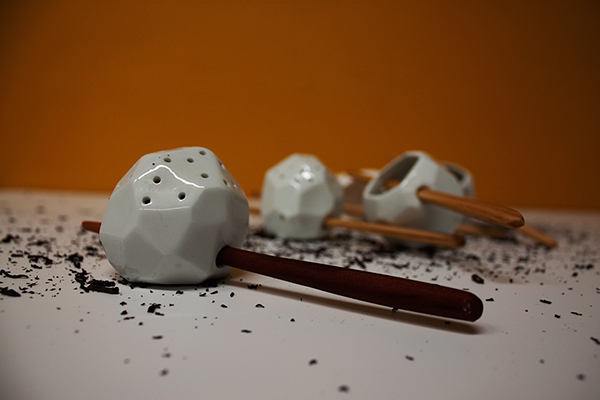 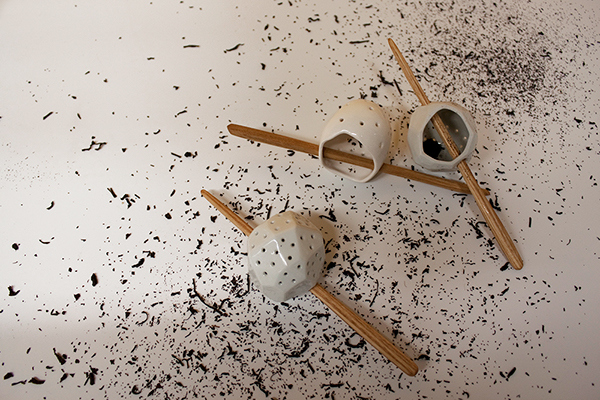 The functional version of the tea leaves with holes, which includes the cone-shaped wooden sticks. 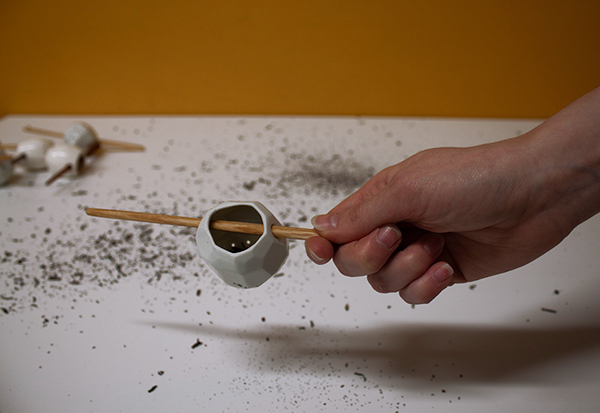 The proportion has several reasons- inserting through a porcelain or glass part stops at some point and thus can be hung on the cup.The wider part of sticks can move away tea leaves from the sieve and it can be used for serving as a “spoon” for stirring tea.